@RETURN can exit the calculation with customized error messages and levels. So I tried to explore this functionality together with Data validation in 11.1.2.1 (Sample Planning application is used to demonstrate this). Negative values are not entertained for FY10. 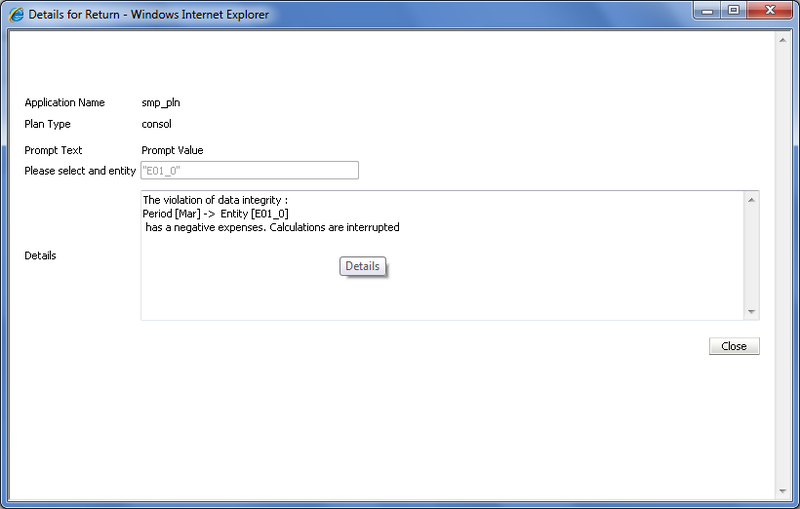 So user entered a -ve value and he got a validation message saying negatives are not allowed in the system. He accidently ran the rule which allocates the entered value. 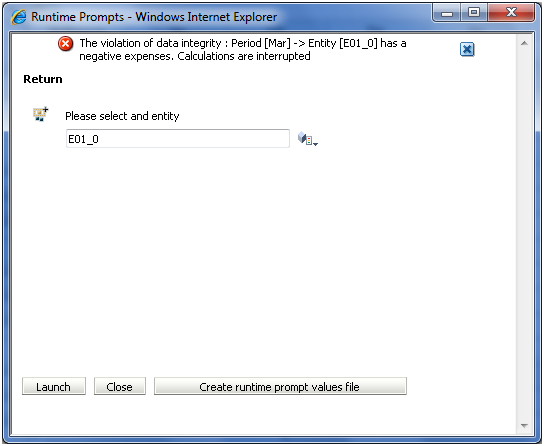 I’ve used @RETURN to exit the calculation with a custom error message which will guide the user to the co-ordinate where -ve value is entered. 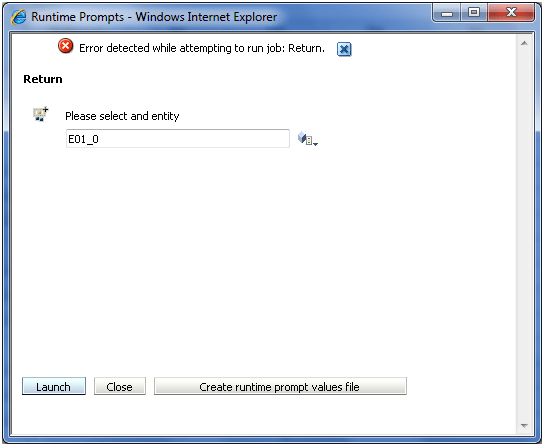 Even though RETURN allow you to set 3 levels (INFO, WARNING, ERROR), I’ve seen that only ERROR can send the message indicated in the ErrorMessage string to the client and the application log. RETRUN is also available in 11.1.2 Planning, however to view the custom error message (ERROR) you’ll have navigate to the Tools -> Job Console. However , you cannot see WARNING, INFO level ErrorMessage in both the versions. Have you tried setting the AGENTDISPLAYMESSAGELEVEL in the Essbase config file to allow lower severities to be trapped? I'll give it a try, however that one is for Essbase Server console to display the message and I'm trying to get the display in workspace/planning. I need help on validation, I would like give an message while they are entering the data territory and by territory, just like a warning message. however the business rule should after this warning message. Really appreciate if you can help on this. 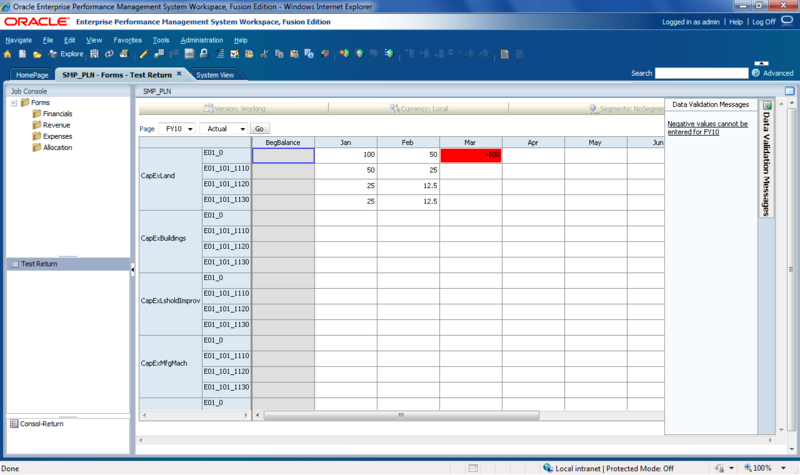 ← Clear Planning security only for some objects (not Webforms, not Administrators)!!!! !